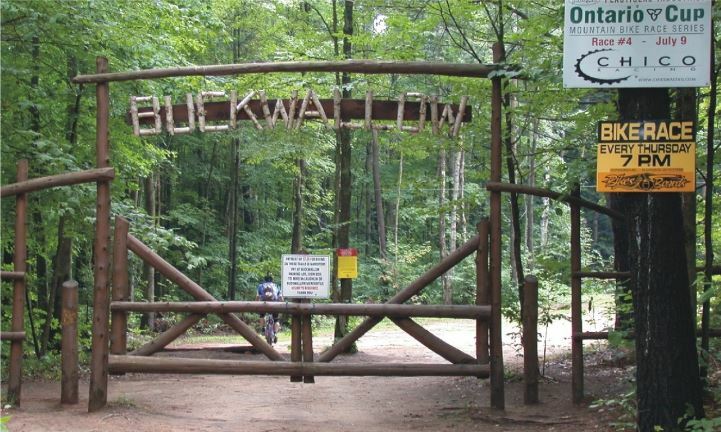 Buckwallow Cycling Centre is a privately owned MTB park near Gravenhurst with 30 kms of high quality trails that are designed for various ability levels. We're staying at the KOA Campground next door. You'll need camping gear and your own food. Gravenhurst and Bracebridge are nearby in case you want to eat there or stay at a motel. We can also arrange to loan you a tent and use our community BBQ. Please register for this event so we can reserve a group campsite. Check in time is 2 pm on Friday. Check out is 11 am on Sunday. We'll be collecting $20 pp per night at the campsite so you don't have to go to the camp office. Bring cash. We're in the group camping/picnic area by the pavilion at the front of the property. It's going to be chilly at night so bring warm clothes. Some other items you may need: chair, bug spray, flash light, bike lock, water for camelbak, bathing suit and towel for potential trip to High Falls. If you're new to camping. There is no electricity at the site so ensure your devices are fully charged. There will be a communal BBQ and coffee maker available. Here's the KOA site for directions and a campground map.